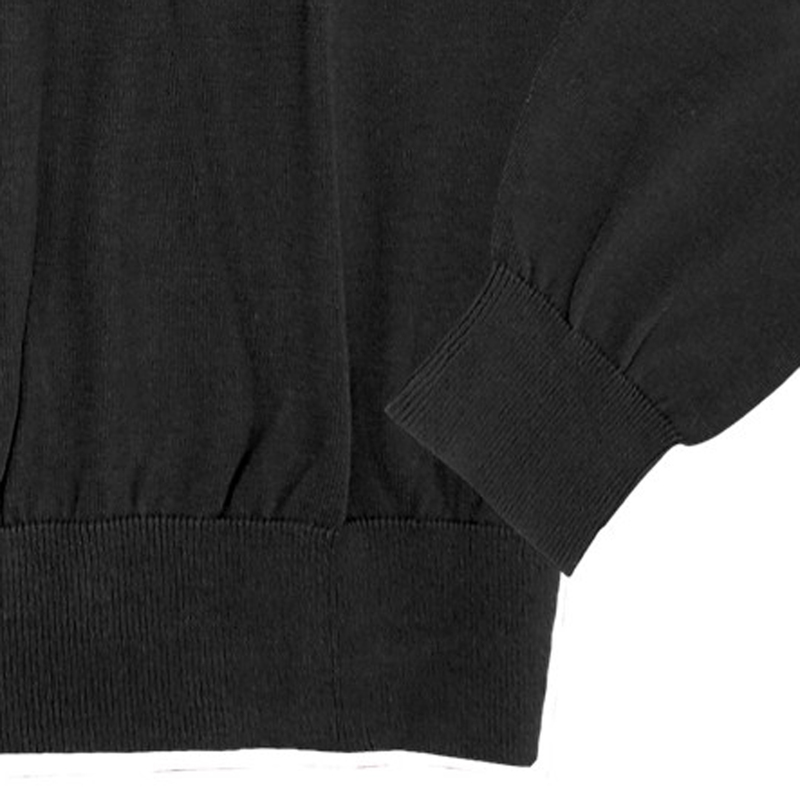 A black sweater with elastic waist and elastic cuffs by Casamoda. 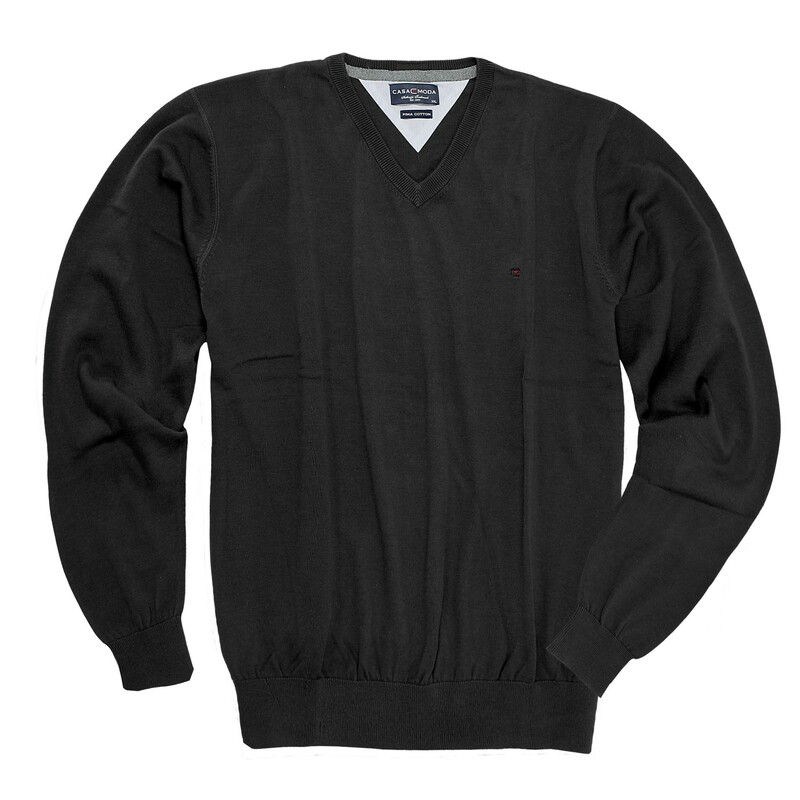 The elastic waistband adapts easily and is comfortable to wear. 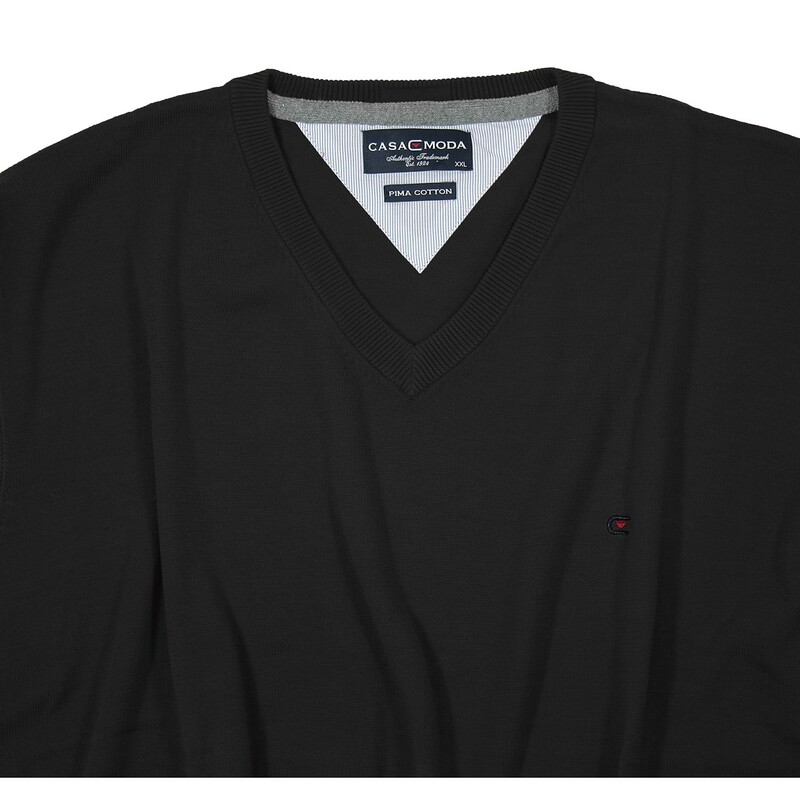 With elegant V-Neck and a small embroidered logo on the chest. 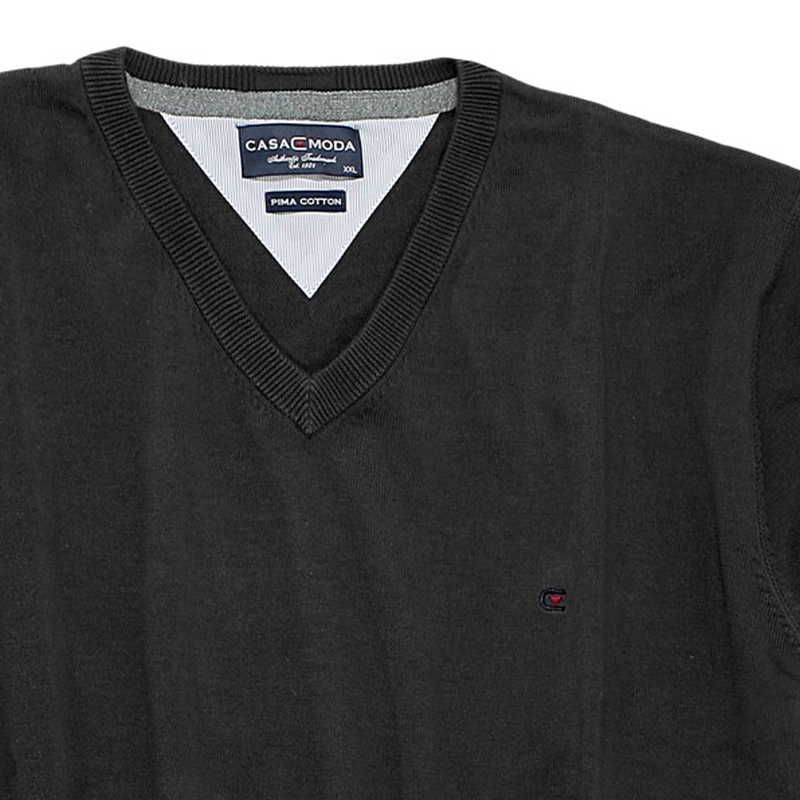 The sweater is a classic which fits for all. Available in king sizes up to 6 XL.